Have you heard the term “Technical Debt” before? How did is show itself? 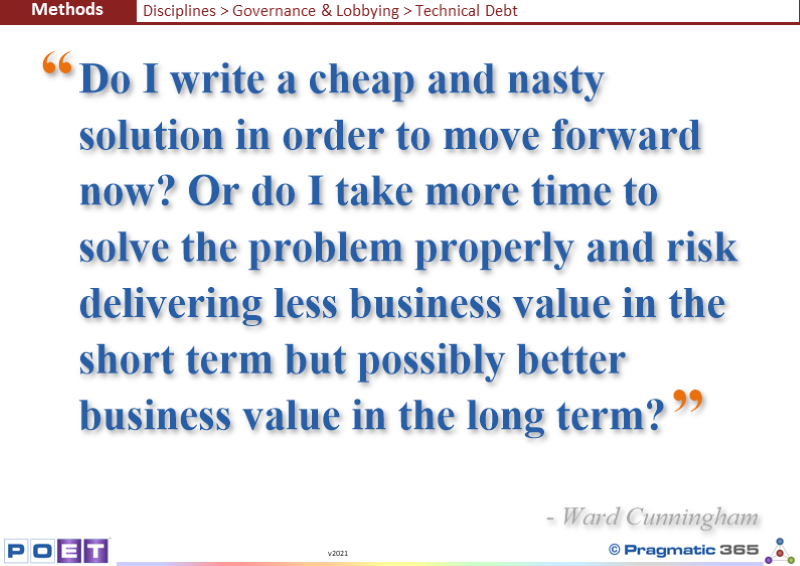 What happened when “Technical Debt” was created?